LLADRO THE HAPPIEST DAY porcelain figurine with gift box. This piece depicts the deep love between two newlyweds. The young lady is wearing a romantic white bouffant wedding gown enriched with floral patterns of the same colour which softly drapes down to the ground revealing her dainty feet. The delicate shoulders are left bear highlighted by the colour contrast of the hairdo and by the pearl necklace. 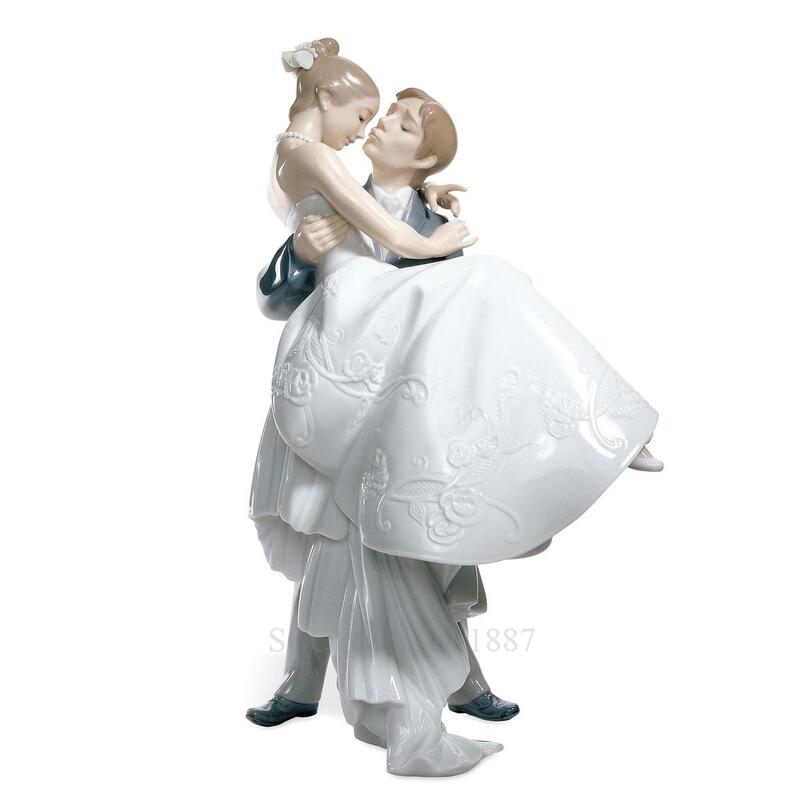 The happiest Day by Lladro is a perfect piece for a wedding gift and really reminds us that weddings are the happiest of days. Compra adesso il prodotto ed ottieni 495 Crediti! Buy now and earn 495 Points!